For years now the WWE has had two “World Championships”, the WWE Championship and the World Heavyweight Championship and many fans of pro wrestling may be wondering exactly which championship is the top championship in the sport of professional wrestling. In this piece I will explain to you exactly which belt is the top of the top and the reasons as to why one belt is above the other as well as my own personal views of the title's and what each one means. But before going into my explanation I'm going to spoil my answer early as a way to tickle your palms before I unload the salt on the snowy road. The answer is the World Heavyweight Championship. The WWE Championship is NOT the same championship as the WWF Championship or the WWF World Heavyweight Championship despite what many may think. When the WWE changed it's name from the WWF it had to basically re-design the company and all copyright’s and assets (including championships) had to be reset to reflect the name change. By doing this the WWE basically became a “new” company, and even though it seemed nothing more than a name change on the surface there was a lot more going on behind the scenes than what fans got to see on television or on paper. The WWE Championship is a direct descendant of the old WWF Championship (sometimes referred to as the WWF World Heavyweight Championship but does NOT share the lineage despite the ruse that the WWE puts on toward it's fanbase. Sure, you could just simply connect the two and that's usually what people do, but deep within it's core by legal definition the two championship's are separate from one another and should be seen as such. So, why do I not place the WWE Championship above the World Heavyweight Championship, you ask? Well, the WWE Championship is a company title, that means that the holder is the champion of the WWE as defined by the name of the championship. The holder of the title is defined as the champion of World Wrestling Entertainment and is promoted as such, but that's really as far as it goes. 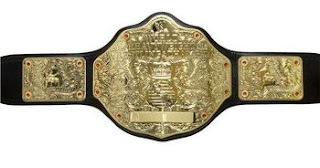 The WWE Championship is considered to be a “World Championship” because it is the top championship in the WWE and the WWE is indeed a world-wide company which is aired on television all over the world, as well as the internet and since the holder of the belt is holding the top title in the WWE they are noted as being a “World Champion”. But, with that title comes limitations. There is a ceiling there that you can't break and that's the ceiling of the title being named after a single company, you cannot claim to be anything higher than that despite the WWE Championship usually getting the main event slot on a pay-per-view card. Think about it this way: Would you rather be the champion of a company, or champion of the world? See, when you hold the World Heavyweight Championship there is an illusion there that the title is not just a company title, but instead a title that spans the entire world which includes hundreds of wrestling companies and promotions. Simply put, they don't call the title the “WWE World Heavyweight Championship”. 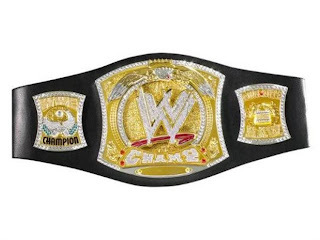 You can go ahead and watch video tape from pretty much every title defense and you will see that it's simply noted as the “World Heavyweight Championship”, and aside from a small WWE logo toward the top of the belt you would never know that the championship came with any brand recognition. That creates an illusion that you are not just the champion of the WWE, but instead you represent the entire world as the champion of the sport of pro wrestling. That includes every major company, every promotion, every wrestler, and superiority above every championship across the entire world. That's a huge responsibility to bear if you're the holder of the belt, that put's you at the very top of the food chain. Sure, it's rare that a World Heavyweight Championship match headlines a WWE pay-per-view (maybe 2 or 3 times a year), but for my money the matches put on for the title outshine the WWE Championship matches for the most part (not always) and the competitors who have held the title over the past several years (Undertaker, Kane, Big Show) are what I like to call “legacy” competitors who are throwbacks to an older age of the sport. On top of all that, since the title does not come with a true company branding it could be noted that a World Heavyweight Championship match could take place outside of the WWE seeing as how there is no verbal branding, though I'm sure this would probably never happen again (though it has in the past). And going even more forward, if you try hard, and I mean really hard, you can almost piece together a lineage between today's World Heavyweight Championship and the World Heavyweight Championship contested back in 1905 by Gotch and Hackenschmidt, though that is a daunting task even more me (but it can be done). UPDATE 2/2/13: Recently I posted a blog where I stated that the WWE Championship was inferior to the World Heavyweight Championship and today I would like to actually retract that statement. The reason being is that a championship is only as strong as how it's owning company treats it and since the WWE treats the World Heavyweight Championship with less reverance than the WWE Championship than I have to give the WWE Championship the top billing. The WWE Championship is often defended in the main event of pay-per-views and if competed for against the top tier competitors that wrestle in the WWE, but with that said the World Heavyweight Championship is still a very prestigious title to hold, but it is not above the WWE Championship. Sure, being the World Champion should denote that you're the best there is at what you do when you're a professional wrestler, but in this case the WWE title is a “World Championship” and encompasses the fact that the WWE is the largest professional wrestling company in existance and it's champion is the highest ranking wrestler in the world. The World Heavyweight Championship is often defended earlier in the card on pay-per-view matches and is often held by a wide array of competitors ranging from top tier talent to mid-card talent and is not treated on the same level as the WWE Title. So there you have it, my official retraction for my now infamous blog post that has reached a massive 8,998 views since it was put up mid last month. And if you've skipped the paragraph before this one I'll be happy to repeat myself once again. The WWE Championship is the main attraction in the WWE and is the top title contested by the competitors who wrestle both in the WWE and who compete around the world. And while I follow the IWGP Heavyweight Championship, and ROH World Championship just as closely, the WWE Champion is regarded by wrestling fans and promoters as the sports top championship. Thanks for reading the blog, guys! As always, you can find me on Twitter at www.twitter.com/manga4life as well as over on such forums as Valiantfans.com, ComicbookResources.com, Toonzone.net, and WrestlingForum.com. Take care! Valiant Entertainment: The absolute best publisher in comics. Valiant. If you've read comics at any point over the last 20+ years you've heard the name and if you were a collector back in the early 90's than there is a very strong chance to had a few of their comics in your collection. After a long struggle rife with idiotic companies and other such bumps in the road, they're back in the saddle and they're better than ever! Many know about the old Valiant Comics that published such titles as Solar, Magnus: Robot Fighter, Harbinger, X-O Manowar, Eternal Warrior, Shadowman, and Turok, but you may not know about Valiant Entertainment. Valiant Entertainment is NOT the same company that was known as Valiant Comics back in the early 90's, they're a completely different company who has stepped out from the shadows to gain the license of many of the original Valiant Comics characters that were so successful in the 90's so that they could publish comics based on these characters in today's market. Without getting into the story about the legal battles and the old Valiant Comics, I want to focus on the NEW Valiant and the titles in which they have been producing and plan on producing in the near future. Rebooting the characters back to day 1 and focusing on putting out quality books with superior art and great storytelling was the goal of Valiant Entertainment and they decided to launch the line with a promotional campaign titled “Summer of Valiant”, and so far they're off to a fantastic start. They kicked things off in May with X-O #1 which as of this writing has had orders of over 50,000 copies with 4 printings, a feat that is VERY rare in today's struggling comic book market. 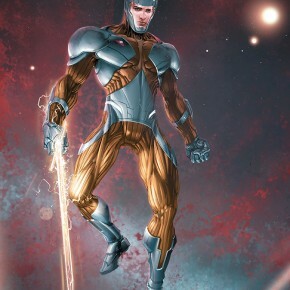 X-O Manowar is a story about an ancient warrior named Aric who is kidnapped by a race of aliens known as “Vine” and kept in lockup for a number of years which led to him and his captured comrades to break free. Aric stumbles upon a set of armor that is worshiped by the alien race and when he put the armor on he was transformed into an even more powerful warrior than he was before. The second book was Harbinger in June, a title that revolves around a young man (Peter Stancheck) who is recruited by an organization via a man named Toyo Harada thanks to his exceptional powers. 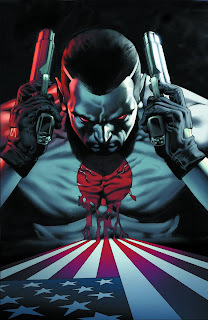 Harbinger was followed by Bloodshot in July, which is a story about a man who literally can't die and is sent out into suicide missions by the military only to be betrayed and have it revealed that he was implanted with false memories of his personal life. And the final of the 4 initial titles is Archer & Armstrong in August, a book that teams up a skilled archer with a stumbling drunk that has hilarious religious overtones and a strong story behind it. So far it's been announced by Valiant that all 4 #1 issues have sold out through Diamond and high sales figures and multiple printings have been the norm since Valiant Entertainment entered the comic book market, this is a success in independent comics that has not been seen since the day's of Image when they were tearing up the sales and orders charts in the early to late 90's. And Valiant isn't done yet. Launching in the Fall was a title called Shadowman with other possible books hitting shelves in Spring of 2013, rumors of Valiant releasing titles based on Eternal Warrior and Rai still loom but many believe that they could just be used as side characters in existing books similar to how Ninjak is currently being used in X-O. 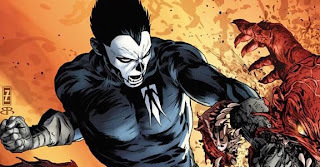 One thing that is refreshing is that Valiant appears to be listening to it's fans with the announcement of Shadowman, while a good portion were excited for Eternal Warrior and/or Rai it seemed that the fan-base was absolutely thirsting for Shadowman and the publisher had it's ears wide open for us. Valiant has noted at the 2012 San Diego Comic-Con that they hope to eventually have up to 15 titles on store shelves within the next few years, so far they've been very successful with the books they've released so 15 may not be out of the realm of possibility but many think that releasing that many books may hurt Valiant's goal of keeping strong continuity between titles. Either way, the publisher has more than enough characters in it's stable to support such a goal and if they capped off at 15 maximum titles than I could see this totally working out in their favor, especially if orders remain strong for Valiant throughout. Since the launch just before summer of 2012, Valiant has put into place a few other key things to ensure success with their titles that have fans scratching at the bit for more. 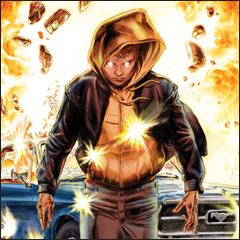 “Harbinger Wars” will be hitting store shelves in 2013, this is slated to be a mini-series that will tie into the core Harbinger book and Bloodshot. And “Planet Death”, which is going to be a mega event kicking off in 2013 within the X-O Manowar book, and Valiant isn't done yet. The publisher is also teasing a universe wide crossover sometime in 2013 as well that will span all of their titles, but as of right now it appears as if they want to continue telling great stories within their books and building their universe one character introduction at a time. Seriously, if you're on the fence about Valiant's books than I invite you to check out reviews of these titles on any major comic book review site, they're breathtakingly positive and some are calling Harbinger, Archer & Armstrong, and X-O the absolute best comics being published today. I'm inclined to agree. It's been years, and I mean YEARS since an independent publisher has thrilled me this much with their comics, the last time I truly felt this way was with Crossgen Comics back in the early 2000's when they had their “Sigil-Verse”. I used to walk into the comic book store multiple times a month and my excitement was at an all-time high when new Crossgen comics were waiting for me on store shelves, and for the first time since 2004 I truly feel that excitement again as I pick up my Valiant titles monthly. It's totally refreshing. Also, it's nice to have found a company that's putting out quality comics that seems completely stable. I've gotten involved with other companies in the past that were putting out great comics that nobody was reading, eventually they either stopped publishing them in favor of something else or they went out of business completely (Big City Comics, Aftermath Comics, Virgin Comics). But Valiant seems to have a game-plan and the owners seem to know what they're doing, as long as the sales remain high and the praise continues to roll in I expect the publisher to stick around for a long time to come if not forever. The just need to avoid the mistakes that the original Valiant made back in the day with partnering with other companies and trying to expand too much in too short of time, if they take the slow and easy approach than I see nothing but success in their future. As always I would like to thank those who took the time to read this blog, I really appreciate your support and I thank you from the bottom of my heart. You can find me all over the web at places like Comic Book Resources forum, Valiantfans.com's forum, Toonzone.net's forum, The Retro Roundtable, Dynamite Entertainment's forum, and Twitter (Twitter.com/manga4life). Hope to see you around!